the rain stopped, the sun was shining, and a wonderful time was had by all! 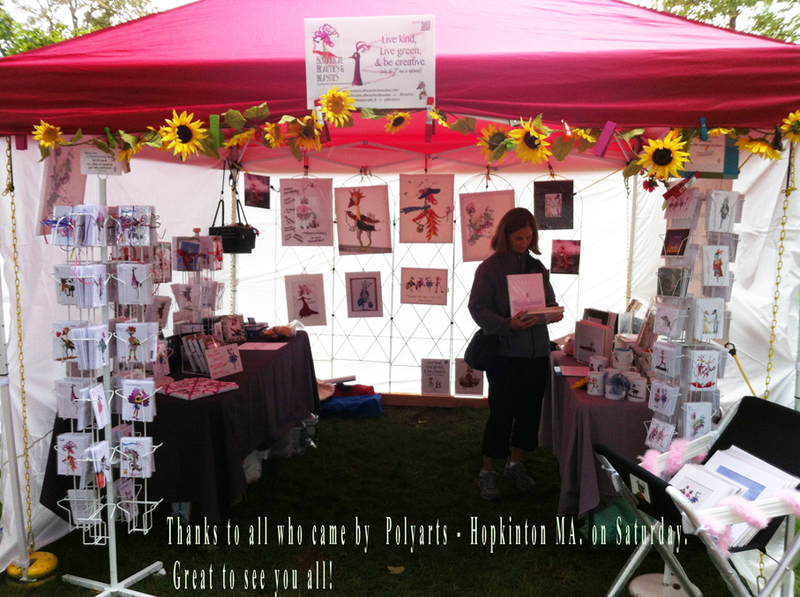 Saturday we were part of the Polyarts Festivel in Hopkinton MA- what a lovely show. A special thanks to my “earth elves” June, Deb and Deb…the world is a much better place for me becuase of friends like you! If you missed it I would recommend marking your calendar for next years show. There are truly lovely artisans and many items to be enjoyed! … our booth last Saturday at Polyarts.